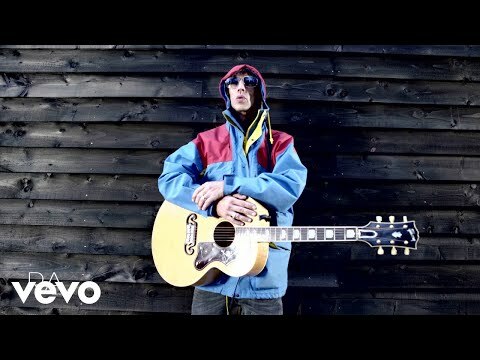 Nineties music aficionados would surely revel in the thought of a collaborative mash-up between two of the decade's most well-known bands, something Richard Ashcroft has claimed he'd be interested in doing. The former Verve frontman has stated he would be up for working on a musical production alongside Oasis band members Noel and Liam Gallagher. While promoting his new record These People in an interview with Noisey, Ashcroft said: "I would love to do a musical with them both." "I'd like to do a musical of [Verve] songs combined [with Oasis songs] in a story of both our youths and the combination at the end and the fact that we have crossed paths, been mates [and] looked after each other," he added. Ashcroft went on to describe Gallagher brother Noel as "an amazing songwriter," quipping: "...if I get 50 per cent on the publishing [royalties] then it's obviously cha-ching for both of us." "I'm an amazing lyricist and I've got incredible melodies so the combo is great." These People is Ashcroft's first record since he released United Nations of Sound in 2010. The musician recently dropped a new single named "This Is How It Feels." The Verve rose to prominence in 1997 following their hit debut album Urban Hymns which included songs "Bittersweet Symphony" and "The Drugs Don't Work." After breaking up in 1999, the band reformed for a further two years in 2007 during which they toured and released a fourth record.